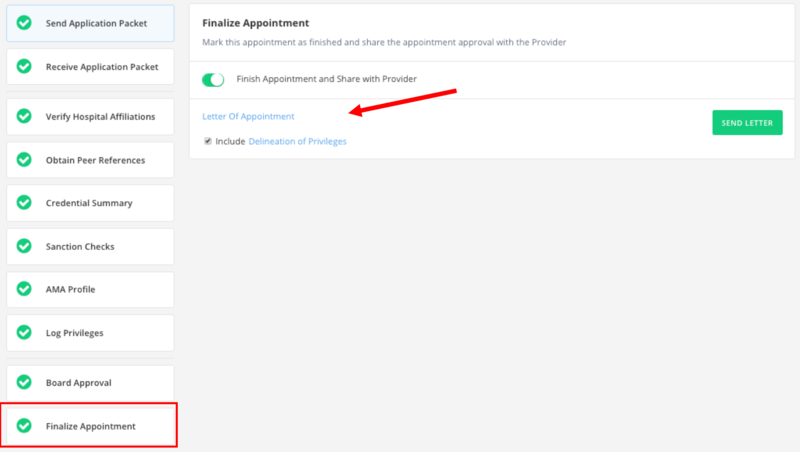 The Delineation of Privileges Form allows you to include a summary of privileges granted with the Letter of Appointment you send to the provider. This is done after appointment has been approved and is completed. You don't have to include the summary of privileges granted with the letter of appointment. This is an option you can choose. In order for privileges to be included in the Delineation of Privileges form, you need to make sure that the granted privileges have been electronically recorded in Silversheet. You can do this on the Log Privileges step in the appointment workflow. 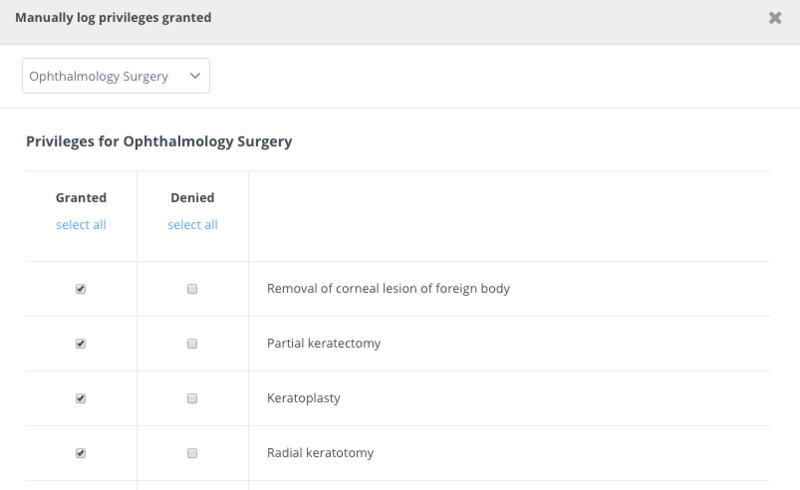 Scenario 1: You digitally send and receive privileges for the provider through Silversheet. Scenario 2: You digitally send the Request for Privilege forms to the provider through Silversheet, but you log the completed form manually. Scenario 3: You do not use the Silversheet privilege forms and log the privileges manually. Any Request for Privilege forms that have been digitally sent to a provider through Silversheet will appear in the Log Privileges step. If the provider has returned the Request for Privileges form through Silversheet, then you will see what privileges the provider requested by clicking on the form in the Log privileges step. 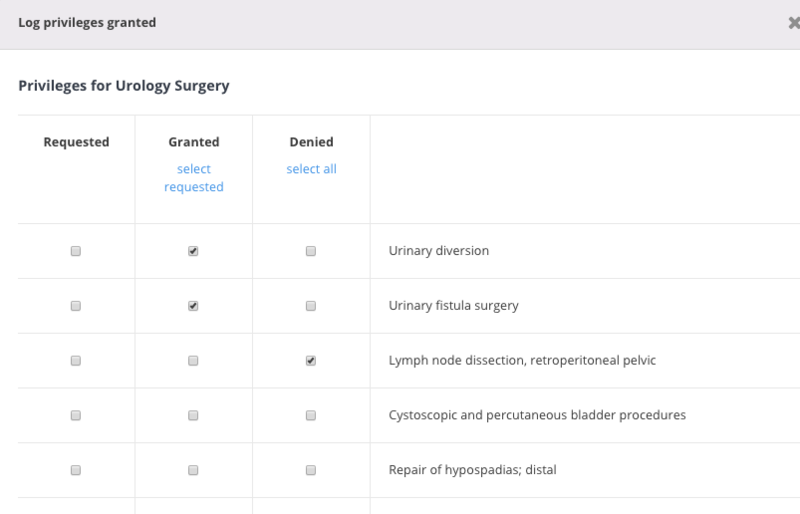 You can then indicate which privileges have been granted by checking off the corresponding column. Once saved, the privileges granted have been recorded and will appear in the Delineation of Privileges form and you can then include them with the Letter of Appointment. Please note, the checkmarks in the Requested column will be blank. When you submit the form, any granted privileges will appear in the Delineation of Privileges form available with the Letter of Appointment. You can still include a Delineation of Privileges Form with the Silversheet Letter of Appointment when an appointment is finalized. In the Log Privileges Step, select the Add Privileges Granted option. When the new modal opens, select a privilege template (Note: You must have privilege templates loaded in Silversheet to use the feature). 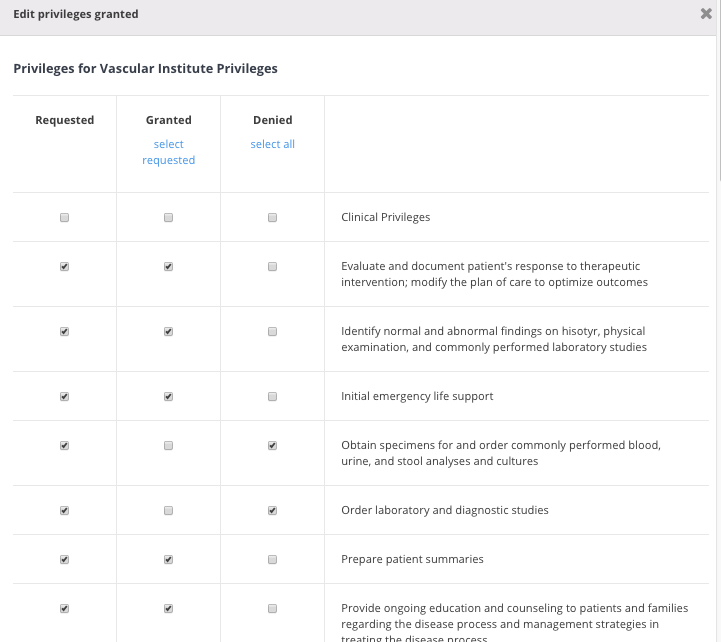 Check off the privileges that were granted for the provider and submit. Any granted privileges will now appear in the Delineation of Privileges Form available with the Letter of Appointment.